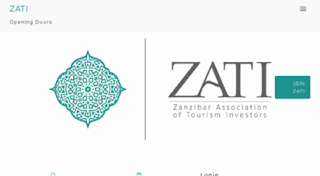 The Advocacy Officer is primarily responsible for translating policy platforms into effective advocacy actions Zanzibar Association of Tourism Investors (ZATI) and tourism industry partners. Developing advocacy projects that are raised through the members of ZATI support to improve the tourism environment in Zanzibar. Developing creative and innovative lobbying tactics in coordination with appropriate members of the coalition. Drafting and producing legislative reforms updates, and materials for advocacy, communications and media PPD approach, including briefing papers and other advocacy-oriented materials. On anticipation of possible advocacy developments and outcomes and preparing contingency plans and strategy adjustments (e.g. a bill/reform gets passed right before the consultations). Assist with coordination of advocacy communication and media campaigns and events. Maintaining and manage ZATI accounts and budgets, in line with the ZATI financial procedures, arranging monthly payments bills and taxes. Producing quarterly reports to be submitted to BEST-Dialogue on advocacy projects progress. Experience of at least 3 years working at mid-level position with either the public or private sector.